Ensure you inspect your new product as soon as you receive it and call us on 07 3821 2153 immediately if you notice a problem. Warranty claims in relation to defects must be made within 48 hours of receipt of the item. Take a photo of the issue (if applicable) and email it to [email protected] We will call you to discuss the problem and find a satisfactory solution. Repair the item (or part thereof); Resupply a new item or Refund or compensate the customer All expenses associated with replacing/repairing defective items will be at Fast Office Furniture’s costs. Once we receive an official notification (within 48 hours of delivery) by phone or email of an item damaged in transit, we will organise a replacement product to be re-delivered as soon as is practicable. This will at times depend on the frequency of transport companies delivering to certain areas, but our aim will be to supply a replacement in the shortest possible time frame. All costs will be paid by Fast Office Furniture. In the unlikely event of the delivery/assembly crew not noticing the damage, please talk to them if they are still on site and point out the issue. Ask them to contact our office to discuss a solution. If they have already left site when you notice the damage, please call our office immediately on 07 3821 2153 or email us at [email protected] to report the problem. If you are able to send us a photo of the damage, this will greatly speed up the process. Any damaged products will be replaced as soon as is practicable. All associated costs will be paid by Fast Office Furniture. At Fast Office Furniture all our products are made from commercial quality materials and undergo thorough quality control processes. However, over time and due to usual wear and tear, products may no longer function efficiently or may require certain components to be replaced. All our products are covered under a warranty which lasts for a specific time frame. This time frame may vary between products, however the warranty period is clearly stated next to each item on our website and on any official quotes we may have submitted. As long as items have been used solely for the purpose for which they were intended (e.g. a chair has been used as a chair and not to stand on as a makeshift ladder etc); we will honour the warranty as specified for each product. Check the warranty period for your faulty item to ensure it falls within the warranty time frame for your particular product. 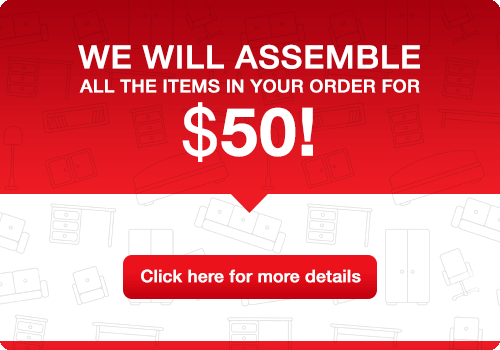 You can do this by checking the warranty period on our website – www.fastofficefurniture.com.au – and searching for your particular product. The warranty period will be stated in the product description. Check the date of purchase on your invoice or order to ensure the item is still under warranty. If all is in order, please have your Invoice or Order Number ready and call our office on 07 3821 2153 or email us at [email protected] to report the problem. Sending a photo of the damage (if applicable) is always very helpful and can speed up the process. On receiving a phone call or email regarding a faulty item we will do the following: Check that the item is still under warranty Request some information on how the item became damaged or faulty to ensure it has not been used for a purpose other than that for which it was intended Repair the item (or part thereof) Replace the item with a new one. If the same product is no longer available, we will endeavour to replace it with a similar product. Products are subject to being changed or discontinued at any time. Fast Office Furniture does not offer full credits or refunds if customers simply change their minds or make a mistake when ordering – unless a request to cancel the order is received BEFORE the item has left the warehouse and delivery has taken place. In this case, a refund will be offered (see associated costs below) or we will amend the order to reflect the correct item and reschedule delivery. However, if delivered items are still in their original packaging and are unused we may be able to offer an exchange for another item or a refund. A restocking fee of 15% of the cost of the returned item/s, an Administration Fee of $20 and a delivery/re-delivery fee (if relevant) will be incurred to cover costs i.e. $40.00 for a flat pack drop off or $90.00 for delivery and assembly in our metro delivery zones. It is highly recommended that customers take out insurance on all freight in case items arrive back at the warehouse damaged or get lost in transit. We are unable to offer a refund on items which arrive back at the warehouse damaged.